We can provide you and your child with the tips, guidance, tools, and information to help them have beautiful, healthy teeth. At Middle Creek Dental, we understand that a lifetime of healthy teeth starts with the education and habits your child learns when they are young. We can help guide both parents, and their children understand how good brushing habits, good nutritional choices, and creating a professional relationship with our dentist can make a huge difference. Working as a team, we can help your child have a vibrant smile all the way into and through adulthood. Our child appointments are customized to their specific needs, including their age and their comfort level. We want to help your child not only have dental work performed but have an understanding of what we are doing, and why we are doing it. We take the time to show them the tools and discuss the procedures, including dental cleanings, x-rays and more. Most dental appointments will include a dental cleaning performed by our professional hygienist, a simple step to assist the re-mineralization of teeth, and any necessary digital x-rays. During your visit, Dr. Shaun Christensen will take time to discuss any questions you may have, and review your child's oral development including making predictions such as spacing or decay levels. If any decay is found during the appointment, we can prepare a treatment plan and recommend the best options based on your child. 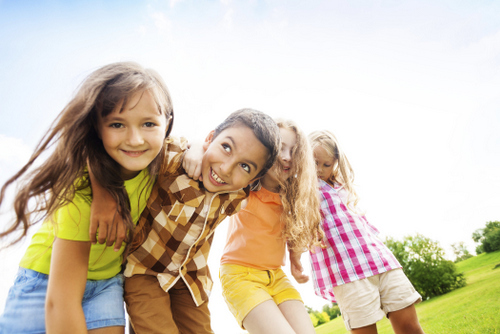 At Middle Creek Dental, pediatric dentistry is centered around your child. Increasingly, children are reaching adulthood without ever experiencing a cavity, and this is due in large part to the advancement in dental education, the tools we provide, and the steps we can help your child take in preventive care. We take pride in seeing our young patients grow into their adult teeth, and choosing a dentist who can see them continually over the years helps us see changes as they occur, providing better and more complete diagnostics. By building rapport with our patients, it makes the experience more complete for everyone. Parents influence is significant in their child’s care. You can make a huge difference in how your child views dental hygiene and care. We encourage parents and other caregivers to use positive language and stories about visiting the dentist. This can be done through singing songs, sharing the importance of taking care of your teeth, demonstrating positive dental care both at home and by making your appointments, and using positive descriptive terminology. Avoid words that can cause irrational fears or distress. Please refrain from sharing past experiences that we not positive or words that can sound intimidating such as drill or needles. Invest in the appropriate dental tools for your child. Stores in your area should have child-sized toothbrushes, milder flavored toothpaste, and various forms of floss. Find the tools that work best for your child to encourage brushing; they may prefer a rotary brush, or flossing sticks, or more. Your child's perception of dental work starts well before they climb into the dentist's chair; that is why we proudly offer a warm, kid-friendly waiting area. We keep a wide variety of storybooks and toys for all ages, so they can have fun while they wait. Also, when your little one goes in for his or her appointment, you'll have access to wi-fi so that you can make the most of your time. Ready to Schedule Your Child's Next Visit? Call us today at (208) 505-9975, or go to our easy-to-use online scheduling form for easy registration.